I have my parents to thank for this idea. This is a breakfast pie they made. 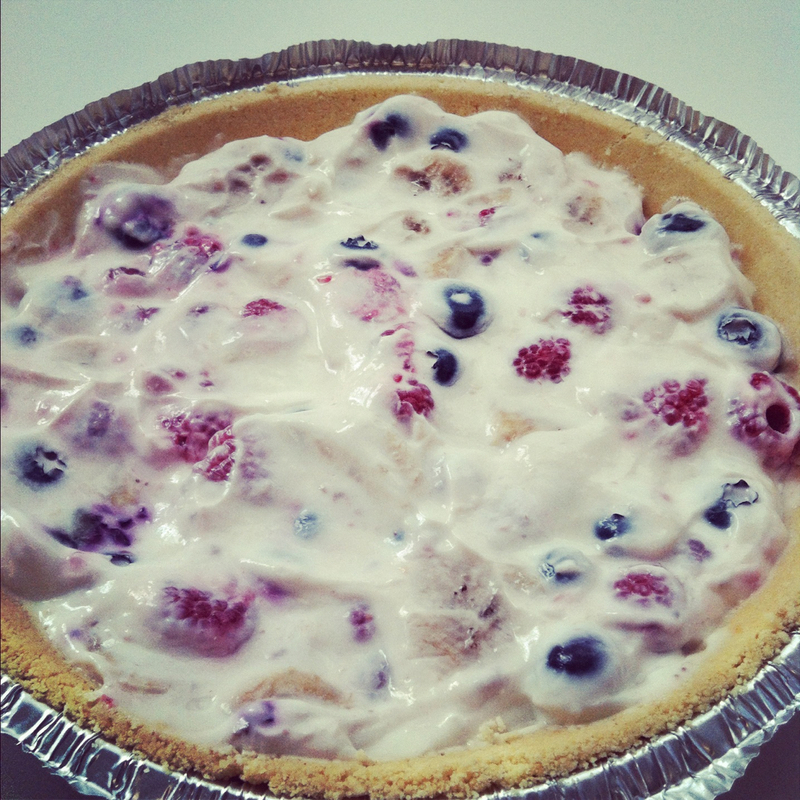 It’s a shortbread crust, and the pie is Greek yogurt mixed with honey and assorted fruit—in this one there are blueberries, raspberries and bananas. I probably would have sprinkled the top with some granola. It gets soggy after the second day so it’s best if you make it for a few people and eat it all the first day. It’s been a while since I’ve updated..